Spring is coming. I swear, it’ll get here sooner or later! It’s just got to, I’m not sure how much more I can take of this winter stuff! To prepare for the arrival of my favorite season, I’ve rounded up 10 delicious spring-themed desserts to get you in the spirit. Spring themed desserts are so pretty with all the pastel colors and peeps! 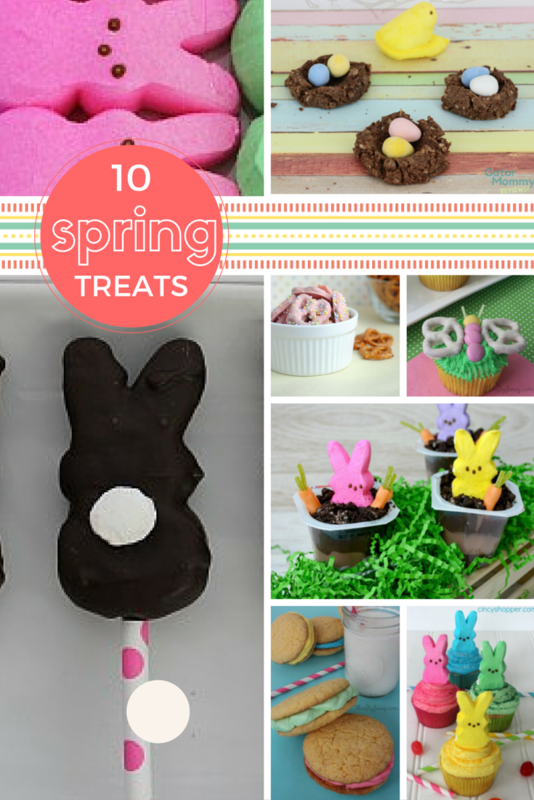 I hope this round up of Spring themed desserts gives you a little inspiration. Just looking at the pictures makes me happy!